You and your former spouse may have spent a great deal of time and effort working out an agreed-upon amount for child support during your divorce. Along the way, things can change—perhaps you get laid off, your child requires additional tutoring, or a medical issue requires expensive and unexpected doctor’s visits. In these cases, you may feel the need to modify the amount of child support that you’re paying or receiving. What makes for a qualifying change in circumstances may surprise you. For example, if you’re the paying parent and lose your job, you probably won’t qualify immediately for a reduction in child support. The court will assume that your unemployment is temporary, and that you will soon return to work making essentially the same amount you made before. The parent requesting the change in child support carries the burden of showing that a change qualifies as permanent, substantial, and unanticipated change. For instance, if you experienced a serious injury at work and became permanently unable to earn the same income which you previously earned, then that would be a permanent and substantial change to your circumstances that could warrant a reduction in child support. Only once the court determines that there have been substantially changed circumstances will the judge hold an evidentiary hearing to determine the amount by which child support should change. New Jersey uses established child support guidelines to calculate child support payments based on the evidence of each party’s financial situation. In limited circumstances, the judge may find that the established guidelines would lead to an inappropriate result, and will instead independently design a payment relying on such relevant factors as the child’s best interests, each of the parents’ standards of living, the child’s educational needs, the parents’ earning capacities, and the parents’ income and assets. While changes to child support based on changed circumstances are challenging to obtain, cost of living increases are automatic. Every two years, all child support payments calculated after September 1998 will include a provision that allows for an increase that reflects the current cost of living. The increased amount is determined by the New Jersey Child Support Probation department, not the parties, but can be contested by the parents prior to the payment being modified. 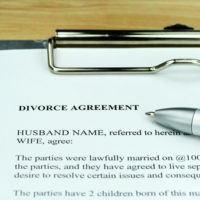 If you are attempting to have a child support payment modified in New Jersey, seek out legal assistance from an attorney with the experience and knowledge of the law to help you work toward a good result by contacting Union family lawyer John B. D’Alessandro for a consultation at 908-964-0102.